Submitted by Migrate Wizard on 2014-06-30 12:42. Gameplay Length 15 - 25 hours. Alignments Any, although neutral or good work best for the story. "Old friend, I fear that Tethyr's future is once again in the balance. The Sythillisian Empire has turned its gaze towards us for reasons I cannot fathom. How can this recently healed nation hope to defend itself from the untold thousands of goblins, orcs, ogres and giants that lurk on its northern border?" Excerpt from a letter by Royal Court Sage Gamalon Idogyr to Elminster of Shadowdale, 1372 DR.
From the author of the classic module "Siege of Shadowdale" comes a new single player adventure of epic proportions! 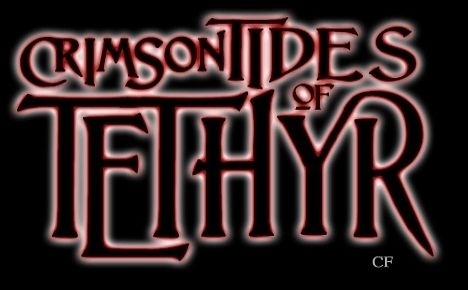 Featuring almost 75,000 words of dialogue, 80+ areas, dozens of unique NPCs and 5 fully developed companions, "Crimson Tides of Tethyr" is a module in the grand style of Baldur's Gate, an epic tale of war, adventure and betrayal. Please note that this module is marked "Mature" for good reason. Expect warfare, heavy violence and some mild profanity. NWN + SoU + HotU + patch 1.69 or above required. New characters will be given the opportunity to level-up at the start of the module. Note: This is the second module in a series of loosely connected adventures set in the Forgotten Realms. Each module can be enjoyed independently and no previous knowledge of the preceding module(s) is required. Check out My Website for updates on my current projects. Alazander (Luke Scull) is now an upcoming internationally published fantasy author! His first novel, The Grim Company, will be released by Head of Zeus in the UK & Commonwealth in March 2013, and by Ace-Roc (Penguin)in North America in September 2013. You can download The Grim Company: The Epic Free Sample (67% of the story!) here. Help spread the word! An excellent module for single player, my husband and I decided to take a chance on playing it multiplayer, with the understanding that it may not work. That is indeed the case - area transitions out of the Royal Quarter do not allow for party transition, and will move one player, and not necessarily the one that clicks on the transition. Scripting-wise, it's probably a reasonably quick fix for anyone that feels like tackling it, but as-is, it won't work for you in multiplayer. This module plays a bit differently than the other NWN official modules and I had to mentally adjust to that. By this I mean that the module has a heavy emphasis on the military aspect of the world of Toril which involves a lot of marching and to me the really interesting parts started after the marching was done. The art included in the hak_pak for this module (as can be seen in the second screenshot) really adds to the setting of the place which is easily the best part of this module in my opinion. I used a character coming directly from the SoU campaign and I thought it made the module an appropriate challenge even by using all henchmen available. However it is to note that this character was a level 13 arcanist and I did NOT ask for a reward for a certain quest thinking I would receive "it" automatically, so without spoiling too much the final boss can become quite hectic. Especially when playing as a frail spellcaster. 3) Two cutscene scripts near the end sometimes break and need to be re-run; one from a conversation, a second following a fight. This is a fun mod however, which takes your character from level 7-13 and has a lot of great items. Characters able to wield a long sword will be richly rewarded in this one, though there are a few nice custom items for other classes such as mage. 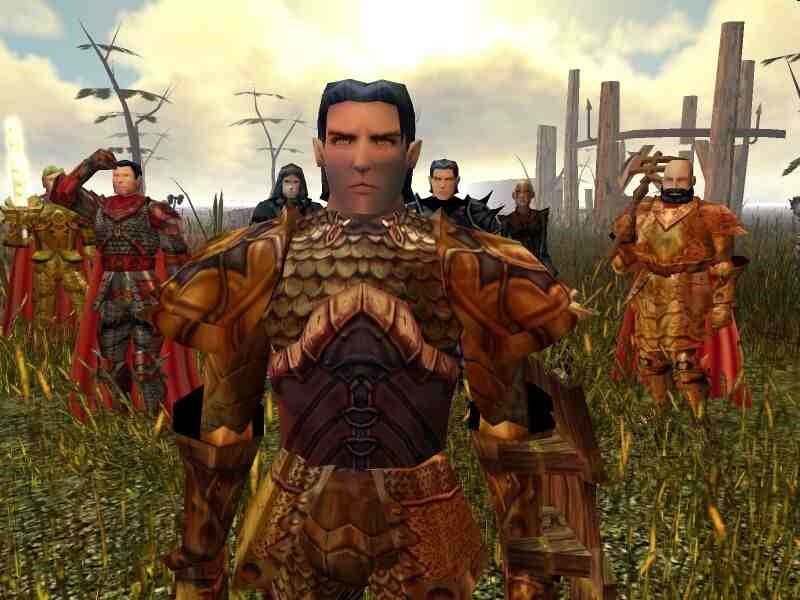 I played CToT for the first time about a decade ago, remembering it fondly for strong Realmslore, solid writing, many references to the Baldur's Gate series, custom music and haks, overall polish etc. CToT is currently being replayed by me, and recounted in full, here. Enjoying it so far, just like I did in my youth. Can't wait to start Part 3, "Tyrants of the Moonsea"! Other than that, solid writings, nice companions, cool story. Great mod, one for the ages. Even the Zam Fir flute was fun! Wow, this one was truly an excellent module from start to finish, right up there with The Wanderer I and Ravenloft - Beyond the Gate for me as one of my favorites. There's some good challenge to be found here, and I think pretty much all classes will find something to like about it. As opposed to Siege of Shadowdale, you do get companions with this one, and they actually have a bearing on the game's plot (there's room for some complaints as to the lack of variety in your companion options, but I wasn't really bothered by it...this is one area that arcane casters might not appreciate, however). I do miss being able to work on their equipment, especially since you're likely to end up with a ludicrous amount of cash by module's end (as well as some sweet items you may not be able to use), but otherwise this is some of the best companion integration into a campaign I've seen yet. The first part of the module is probably the weakest part for me, though it's also the least linear. There's certainly some really interesting stuff here (the temple feud and the noble mansion being standouts), but there are some tedious areas (e.g. the sewers; the city itself is also large enough that it can be a pain to traverse) and there's a sense of aimlessness...not helped by the fact that everything you're doing here is literally just your character killing time before the main plot kicks off. The second part is reminiscent of SoU's Interlude, and the third part is my favorite area of the game--the setting is really cool, and your character gets to be important to the war effort while still working alongside other heroes. I'd refer to this campaign as "the OC done right." You get a nice variety of settings and enemies along with a solid story that contains some twists (some utterly unsurprising, but a few that I didn't see coming). Whether or not you played Siege (there's very little connection between the modules, although the levels line up nicely), I'd heavily recommend this one to just about anyone. Played this mod with a character which previously finished AL1: Siege of Shadowdale. This second installment is amazing, 10/10. It had minor bugs / problems but now having finished it I can conclude that they can simply be forgotten, the writing is too great, the custom content is aesthetically pleasing, also the new music is nice. I am looking forward to playing AL3 witht he same character, though I am afraid that it might be too OP with the things I have been hoarding. Time will tell. Superb, epic module, 10/10, with additional tilesets such as elven city. Cutscenes are great, writing is interesting and you have this feeling of being a part of a larger campaign, which is very nice. Linearity, although present, is not a problem at all - after all you are a soldier and have your orders. There are cool plot twists presents that make up for this linearity. Music is nice as well and it really enhances the climate (with a notable exception of a kitschy native american flute which is ridiculous) :) I played the module without prior knowledge of AL1, nor do I intend to play AL2, as it has never been finished. It is mainly for fighter-types (level 7), although bard- and mage-related equipment is abundant. - when you manage to kill a messenger before he delivers his message in the orc temple, the ogre's apparition (invulnerable) attacks you. I am at the final boss for this mod currently, really enjoyed it, playing with a character built up through Siege of Shadowdale, A Ranger, I'm wondering if i have missed something which a commenter above seemed to allude to, as the final boss seems genuinely impossible for my lv12 Ranger, his two minions and pet wolf. I can barely scratch him before we are all dead. I tried Lilura's commentary but alas, it stops before the last section of the mod, Anyone reading this who has completed it give me a hint? Hi, I know. I've been a bit slack with my walkthroughs lately. I just completed the walkthrough in one sitting (like 10 mins ago), but it's only roughly-written and rushed. That said, it does cover the entire main quest and the crafted items and important itemization (highlighted in pink), which should help people with the end-boss, who is no push-over. I realize it's probably too late an addition for you, though. I think you were a bit under-leveled, too. I hit 14th by module's end, so maybe you missed some content and key items. You can find CToT Parts II-IV covered at the end of my last post, written way back in Feb 2015. I really enjoyed the module! A million bravo to the creator! The story is awesome and gameplay is excellent !! I literally lost my sleep playing just a little more !! Played this one through many years ago and enjoyed it thoroughly. I actually started this series again because a module I am currently in the midst of building is set in Tethyr and I wanted to explore what Alazander had done with it. I do enjoy modules set in the realms with familiar characters as is this entire series. This particular module is the best of three and in my book is one of the classic NWN modules. I played this one through with NWNEE and did not find any game breaking bugs. There were occassional glitches that either solved themselves or were fixed by a quick save and reload. I would give this particular module a 10 and then the entire series a 9. I thought I read in one of the Beamdog forums that Alazander was considering an overhaul for NWNEE and finishing the story, apparently there was to be a fourth installment?? Either way loved this module and loved the series! Thanks for all the hard work Alazander you put into these modules! Let's hope so, because the overarching story didn't even get touched! First, the you know what who fights the you know who in the opening module, but then escapes. Then, the other you know who that steals the you know what, and simply escapes as well in the second one! Finally, the you know who that does you know what and steals the you know what in the third module! What the hell, man?! What happened to all of these mofos?! And don't even get me started on Neremul! Killed a whole lot of baddies in the Catacombs and confronted the Boss there. He says that he will take care of you when you click on him again, but when I do that the game just stops. I will try going back for a third time to an earlier save game, if I have one that will allowe me to get past this. Never got out of the City even though I rescued all in the cells, using the hooded cloak. Very loose feel to this mod up to the point described above. Other than that liked getting some of the items that hasted and added damage finally. Good job over all. I was able to reload and get the game to move forward, from the City through the very well done ending. Bravo! Some of the comments above were from a different module that I have been playing recently~ Sorry.